In my opinion, Galentine’s Day is one of the best made up holidays ever, and it is right around the corner! It’s celebrated on February 13th, the day before every one’s most loved, or most despised, holiday of love. Say what you may, I just can’t help but enjoy the idea of what this holiday is based upon. I mean, why shouldn’t our dearest friendships be celebrated? Like the quote on the heart above, we should “be each others’ personal hype woman” !! Galentine’s Day is about community, togetherness, and women celebrating other WOMEN! And I happen to think that is pretty BADASSl! 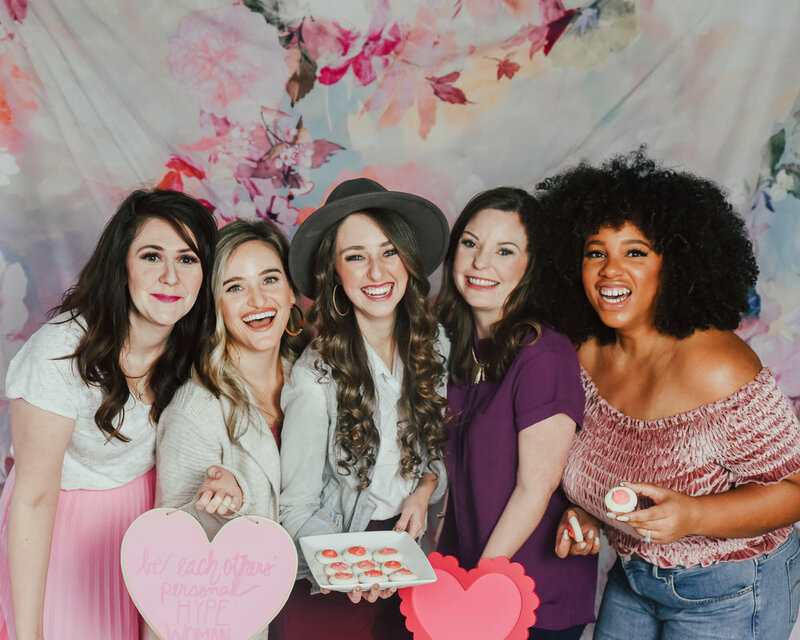 So in honor of all my fabulous sisters out there, I am sharing with you my 5 IDEAS FOR HOSTING THE ULTIMATE GALENTINE’S DAY PARTY! So grab a snack, pour yourself a glass of wine, and ENJOY! 1. 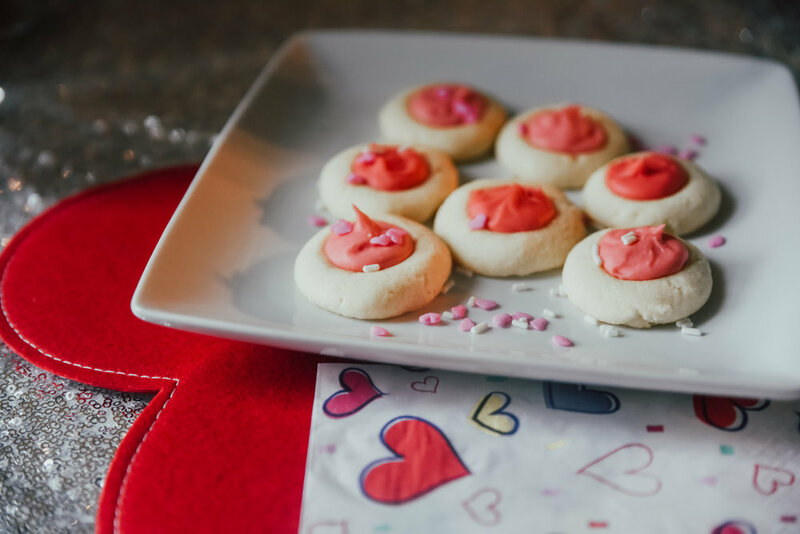 MAKE FESTIVE SWEETS- The first thing you need for the ultimate Galentine’s Day Party is sweets!! I don’t know many woman that don’t enjoy a good sweet treat, and if I did, we probably wouldn’t be friends anyway hehe. All joking aside, food just brings everyone together! I think it would be fun to do a specific theme or a brunch complete with waffle bar and bacon (which can also double as a Bloody Mary garnish, see #2) and have each of your guests bring a homemade dish! Not only does that take the stress off the hostess, but it makes the party a little more personal! And hey, don’t be ashamed to ask everyone for the recipe to their dish….we secretly enjoy that you love it that much!! For our get together we had ALL the sweets!! I made my Vanilla Butter Melt Away Cookies which I made extra festive by frosting with different shades of pink icing and adding heart shaped sprinkles! Everything is better with sprinkles right?! Our friend Chelsey from Creekmore Marketing brought a box of yummy donuts from North Lime Coffee & Donuts , a local donut shop in Lexington, and we also had the BEST gourmet sugar cookies from The Futile Gourmet ! Whatever food or sweet treats you decide to include is totally up to you, but your guests will definitely appreciate the thought! 2. TAKE YOUR COCKTAIL TO THE NEXT LEVEL- No Galentine’s Day is complete without a cocktail (or 2)! 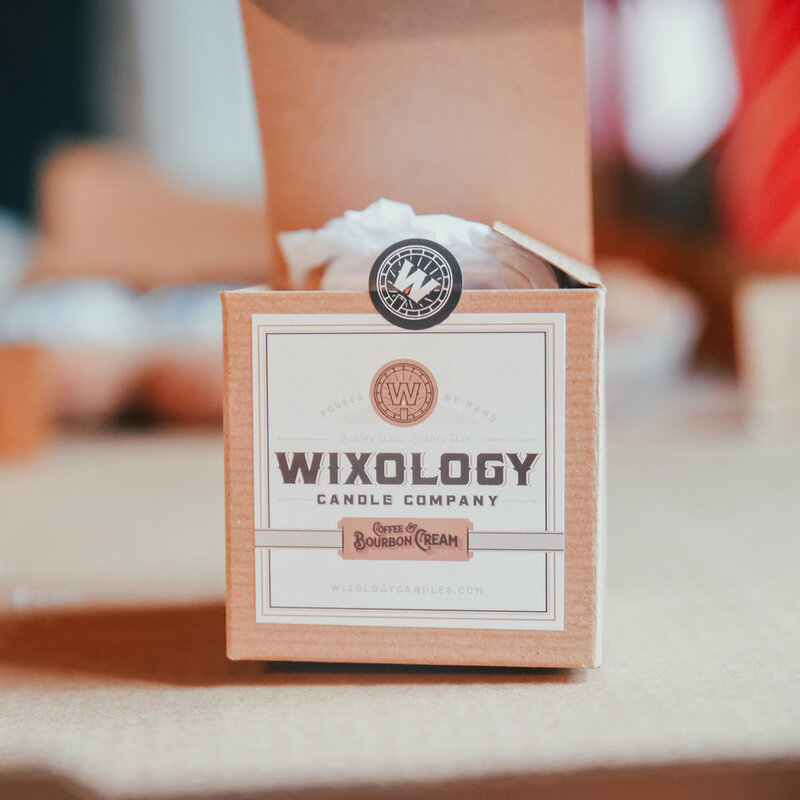 You could even go a little crazy and have each guest bring their favorite cocktail fixings to share with everyone! Whether you decide to do a classic mimosa bar or give homage to your local roots, your friends will be thanking you! Nicole from ShareLexKY made these super cute and festive Strawberry Gin & Tonic cocktails, she also has a full blog post sharing more details about our celebration here !! These fizzy pink cocktails were made with a local distilled gin from Castle & Key Distillery , which not only uses all locally sourced ingredients but whose master distiller is a female! Can I say GIRLPOWER?! We are all about supporting other female entrepreneurs, so it made these pretty pink cocktails all the more special to enjoy! 3. 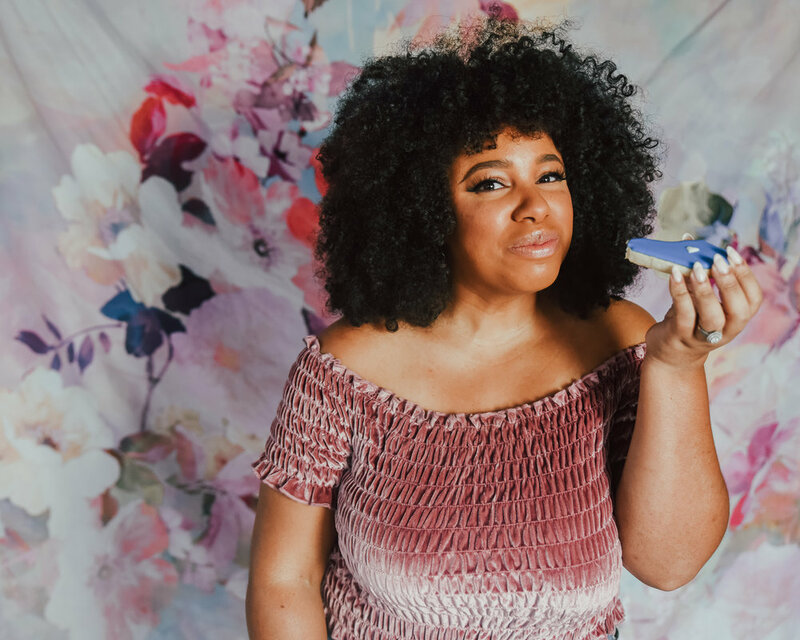 HAVE A FUN BACKDROP + PROPS: There’s one thing about girls that never fails….We like to take pictures!!! Pics or it didn’t happen, right?! Get your gal pals together for some serious Instagram-worthy photos that they’ll post about on every social media outlet possible. But first, you’ll need the perfect backdrop. Jenny made this amazing bright, fun and flirty floral backdrop for our event, but you could also do something more simple!! Grab a pair of scissors and an old sheet, and get creative! I saw some really cute V-Day inspired banners at the dollar spot in Target that would be perfect! And props……well props just make pictures more fun! We used these heart shape signs but you could totally make your own too! Channel your elementary school days and get out some good ole Elmers glue and construction paper. The sky is the limit baby! 4. MAKE THE CUTEST PARTY FAVORS- party favors aren’t just for young children’s birthday parties! You know us girls are all about cutesy little gifts! For our party favors, Jenny put together these awesome swag bags filled with an assortment of some of her favorite local vendors such as a giftcard to Savvy Salon & Spa, a bag of fresh coffee beans from Cherry Seed Coffee, the cutest pair of pearl earrings from Sash & Bow Boutique, self-love rose bath salts made in house by Creatures of Whim and a Wixology Candle Co candle in varying cocktail themed scents! But honestly, don’t feel like you have to go all out with the party favors and spend a ton of extra money on them. Get creative with it and think outside the box! Even filling a festive bag with your favorite assortment of candies and a cheesy grade school paper valentine would be cute, and your friends will appreciate the thoughtful sentiment. 5. FRIENDS + GREAT CONVERSATION: Here is my Number ONE idea for hosting the ultimate Galentine’s Day Party: invite all of your lady friends!! Whether its by text, email or a custom made invitation like these cute ones from Minted, your friends are sure to be super excited! When you and all your gal pals get together, try to focus on really being present and fostering meaningful, fun conversations! You know, those conversations that can only be had between the best of friends. That may mean putting the phones away (except to take cute pictures of course) or even playing a game that allows you all to get to know one another even better! 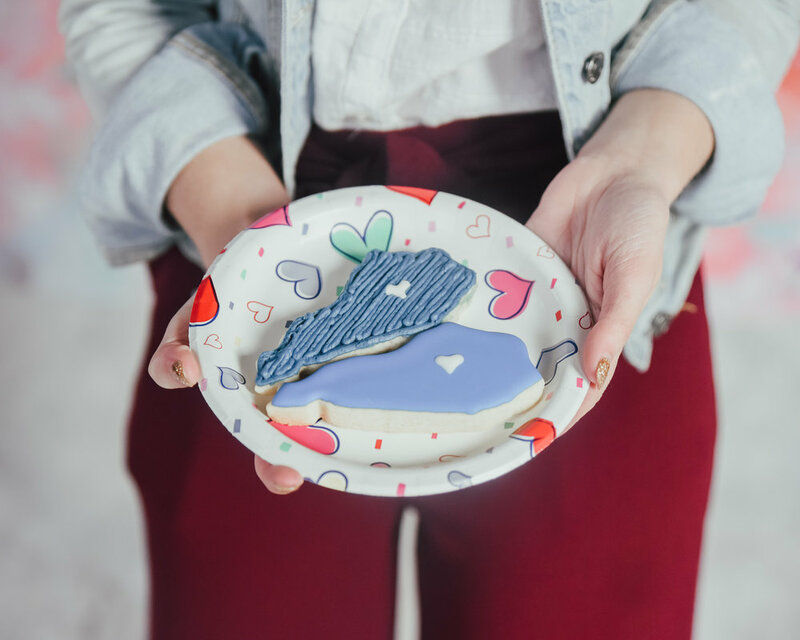 Whatever you decide, know that this party is meant to celebrate community, togetherness, and most importantly your FRIENDSHIP and all that the beautiful Galentine’s Day holiday encompasses! Cheers to all my gal pals!! I hope you enjoyed my 5 IDEAS FOR HOSTING THE ULTIMATE GALENTINE’S DAY PARTY! Be sure to tag me on social media @_samanthafletcher if you decide to host your own Galentine’s party, I would love to see the creative ideas you have to celebrate your nearest and dearest friendships! VISIT THE PAGES OF SOME OF MY FAVORITE KY GAL PALS!